After savoring my very first PSL of the season at Starbucks yesterday, I lamented my mistake from last year and became determined that I would find a way around it! 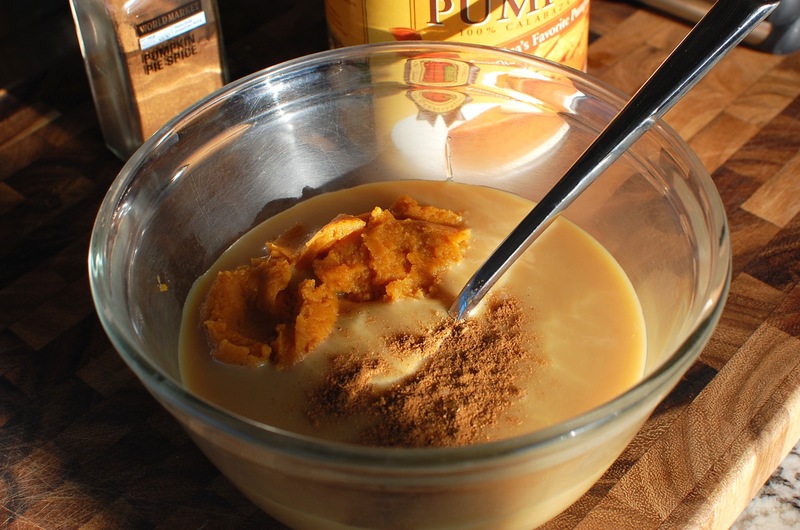 If you take a look at the ingredients of the Fontana Pumpkin Spice Syrup that Starbucks (officially) uses to make their PSLs (SUGAR, CONDENSED SKIM MILK, PUMPKIN PUREE, CONTAINS LESS THAN 2% OF THE FOLLOWING: FRUIT AND VEGETABLE JUICE (COLOR), NATURAL FLAVORS, ANNATTO (FOR COLOR), PRESERVATIVE: POTASSIUM SORBATE, SALT)… you can see that it is basically made up of sugar, condensed milk, pumpkin puree, spices (the “natural flavors”), food coloring, and preservatives. Those are easy ingredients to whip up together at home (minus the food coloring and preservatives which we will not need)! So here it is… (smaller batch) homemade pumpkin spice latte syrup that you can keep in the refrigerator for up to a week. 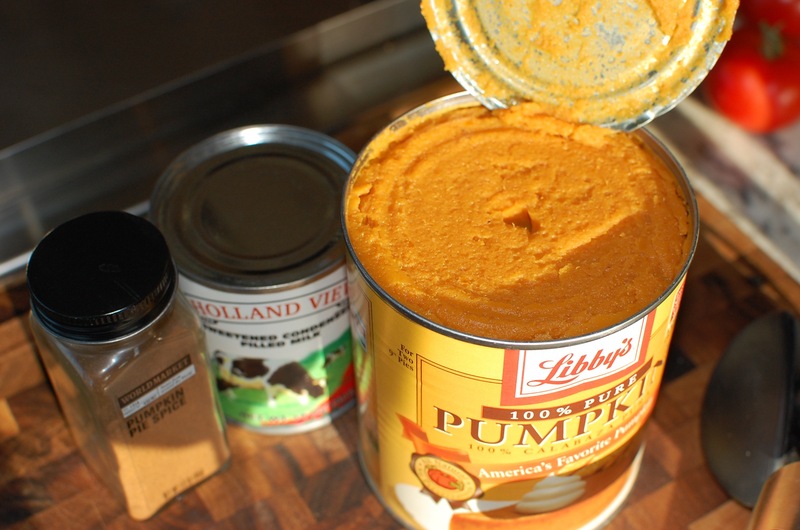 I realize that you won’t use an entire can of pumpkin puree for one batch of syrup – but pumpkin puree freezes very well – just scoop 1/2 c. portions and freeze, then wrap tightly in plastic wrap and store frozen in a Ziploc bag with all the air squeezed out. I’ve also included directions for using either espresso (if you have an espresso machine) or regular brewed coffee to make your homemade PSL. 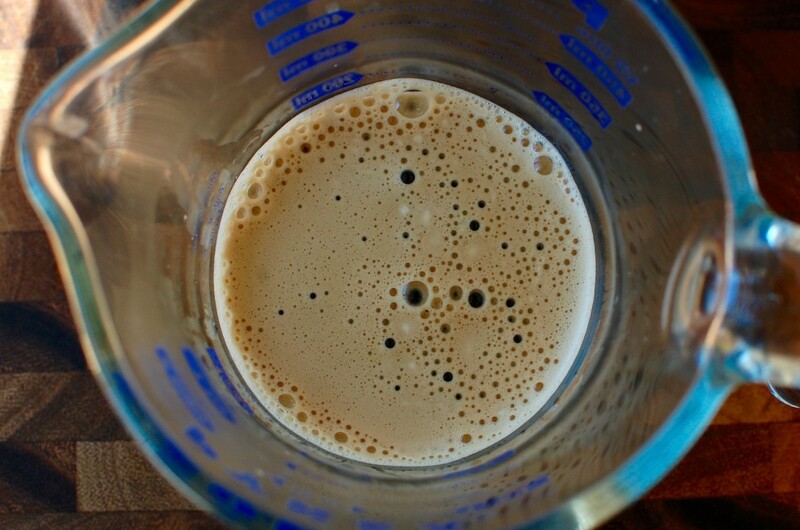 If you don’t have an espresso machine to make steamed/foamed milk – you can easily do this in the microwave with a jar! Just pour either nonfat or up to 2% milk (this doesn’t work with whole milk) about 1/3 the way up a glass (microwavable) jar. Screw the lid on and shake the jar for about 30 seconds. Remove the lid, and microwave the uncovered jar for 30 seconds to 1 minute (depending on how much milk you used). You will end up with some nice hot steamed milk (on the bottom) for your latte covered with a thick layer of milk foam that you can spoon on top of your latte. **Obviously the sweetness is up to your taste. 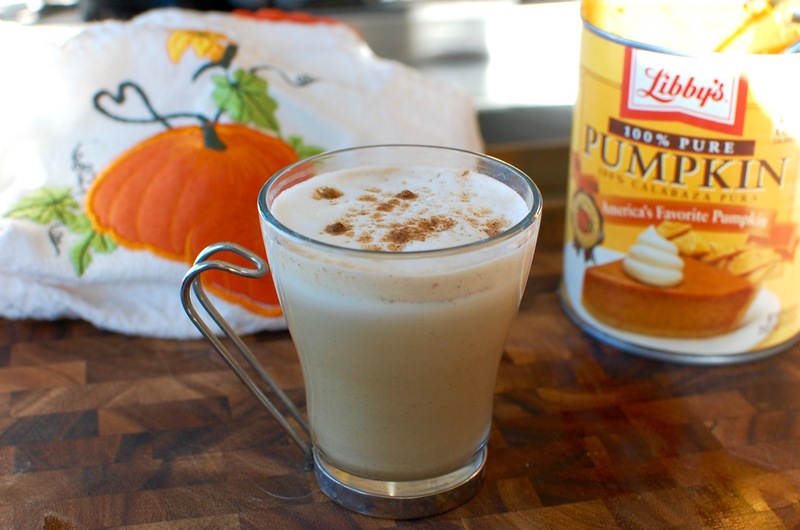 You can add more (or less) PSL syrup to your latte depending on your personal preference. UPDATE: I’ve received a few emails asking where to find the glass cappuccino cup pictured above. It is the Bormioli Rocco Verdi Cappuccino Cup with Stainless Steel Handles… set of 4 available on Amazon for $13. This particular one holds 7.5 oz of fluid – they also have an Espresso Cup that holds about 3.5 oz ($10 for set of 4), and a mug-sized cup that holds about 11 oz ($13 for a set of 4). 3. Brew your hot coffee or espresso. 4. 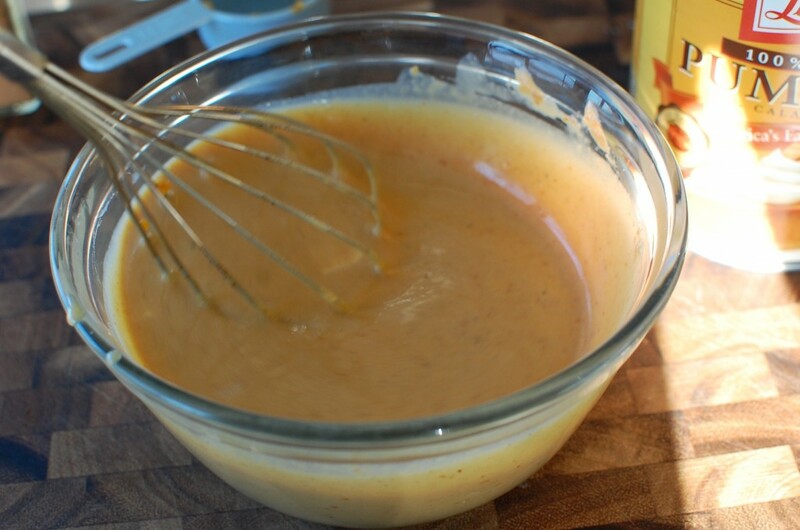 Add the steamed (hot) milk and the PSL syrup, and mix until combined. 5. Pour into a cup, top with foamed milk and a sprinkle of pumpkin pie spice. Enjoy! 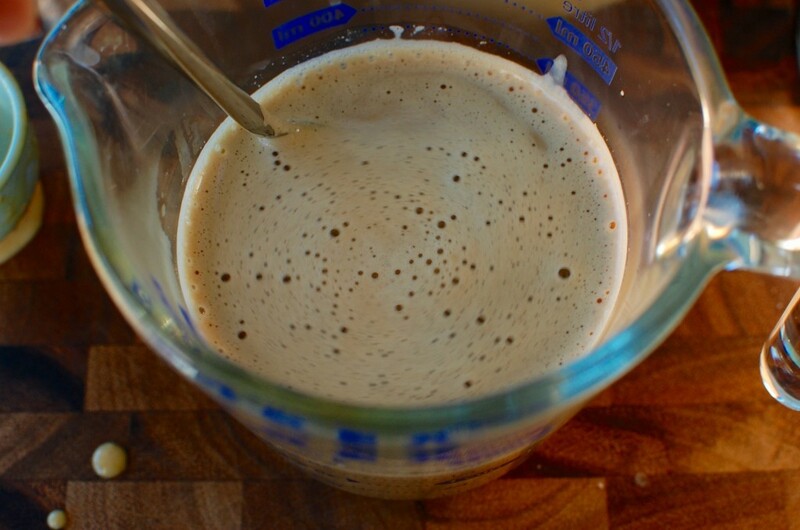 **NOTE: You do not need an espresso machine to make foamed milk! Just pour either nonfat or up to 2% milk (this doesn’t work with whole milk) about 1/3 the way up a glass (microwavable) jar. Screw the lid on and shake the jar for about 30 seconds. Remove the lid, and microwave the uncovered jar for 30 seconds to 1 minute (depending on how much milk you used). You will end up with some nice hot steamed milk (on the bottom) for your latte covered with a thick layer of milk foam that you can spoon on top of your latte. Love this variation but there isn’t any Pumpkin Spice Latte at Starbuck over here in Kuala Lumpur. Thanks for the recipe as I can try it (since I have a milk frother with me). 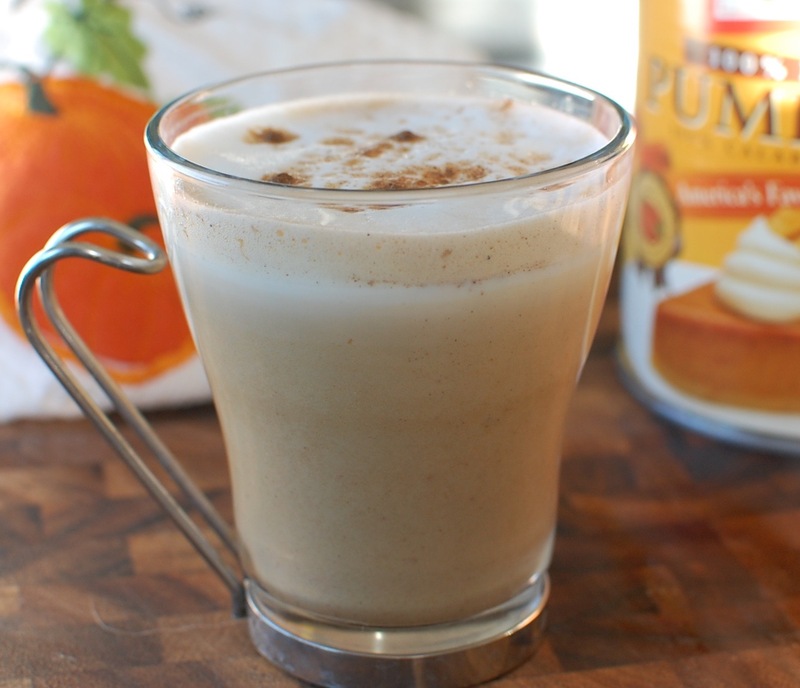 “Pumpkin Spice” is a beloved fall flavor here in the U.S.A. – hope you like it! P.S. Pumpkin Pie Spice is a mixture of cinnamon, nutmeg, allspice, cloves, and ginger.